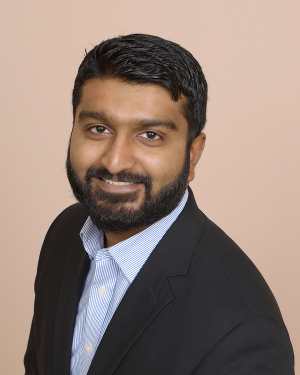 Abdur Rehman, P.E., Puget Sound Energy (PSE) has been selected as the recipient of the 2019 Young Engineer of the Year Award in recognition of his work as a relay engineer and supervisor and his outstanding service in multiple leadership positions in the Institute for Electrical and Electronics Engineers (IEEE). An active leader with rich power systems engineering design and field experience, he is widely recognized for his passion for sharing his knowledge. As the supervisor of Substation Meter-Relay Operations for PSE, he leads a team of 14 field personnel responsible for commissioning, troubleshooting, and maintaining intelligent electronic devices in PSE’s service territory. He also works with external customers with interconnected generation assets. Some are wastewater treatment plants that capture methane gas, convert to electric energy, and use it power their own plant while connected to the PSE grid. During major power outages, he helps to restore the electric grid as the Deputy Operations Section Chief at PSE’s Emergency Coordination Center. He enjoys sharing his knowledge by developing power system video tutorials and uploading them to Youtube. He founded GeneralPAC.com in 2014 which has over 11,500 subscribers who are students and professionals. The channel has over 2.8 million minutes watched since its inception. With thousands of likes, positive comments, and shares from nearly every major country in the world, he plans to develop more power system video tutorials. He supports the IEEE Seattle Section as chair of the Young Professional Affinity Group and organizer of the IEEE Pacific Northwest Young Professional Conference that hosts young professionals from across the United States and Canada.